Until a month ago I had never heard of the online clothing store Boohoo. At first I thought that I must have heard the name wrong but sure enough it is just www.boohoo.com. I learned about the brand from a Youtube video and I am so happy that I gave it a chance! Boohoo contains fashion forward items at very reasonable prices. They have lots of rompers and jumpsuits which I love. They also have a nice selection of leggings which are staples of mine since I am all about being comfortable yet fashionable. One big plus about Boohoo is that they have free shipping over $25 for any US address. This is especially awesome for me because I live in Hawai'i and lots of the time HI is excluded from free shipping deals. I received my order in less than a week with the free shipping method. They also frequently have coupons and sales which is something that I always look out for since I love shopping but I can't afford to spend much. To get the best deals from this company, and others, I first subscribed to their emails and then ordered when I was notified of a good sale. Boohoo's clothing is very attune with fashion trends but some reviewers have commented that it is not the best quality. Although I really do appreciate perfectly tailored clothing, at the moment I am more concerned with affordable price points. I am in between sizes due to the fact that I am still losing weight after having my third baby so I am willing to wear cheaper clothing even if it isn't as well made as more expensive brands. 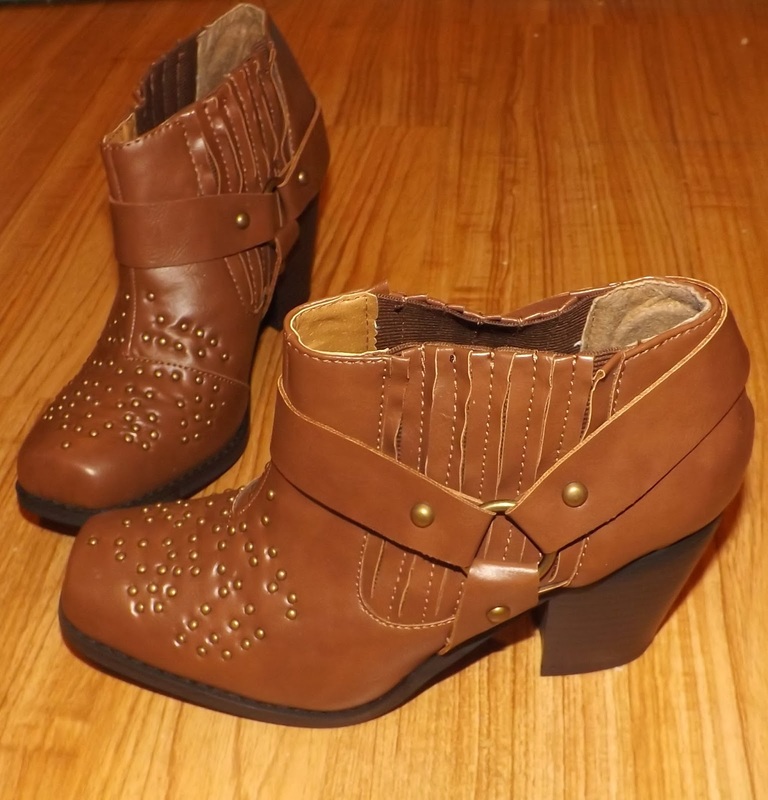 These shoes are my favorite thing that I ordered. The gems on them are individually sewn with clear thread so they will stay put. I won't be able to wear them too often but they are gorgeous and actually comfy. Sometimes I just wear them at home because they make me happy. And they were only $12! At $7.20 these were a real steal. I like that they have the elastic in them to slip on instead of zipper. These are also really comfy. I'm ready for whatever rodeos come my way :). 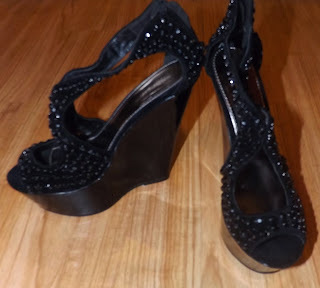 One thing to remember about the shoes on Boohoo is that they have European sizing so you need to be careful to buy the right size but it is really easy to find your size using the chart on the site. Both pairs that I bought run true to size and fit my slightly wide foot just fine. 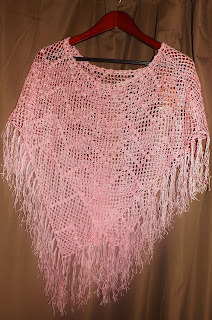 I also got a maxi skirt and this pink poncho. They are both machine washable which I love since I only buy hand wash items if I can't find any washable alternatives in the style I'm looking for. I wish the tassels on the poncho were fluffier but it is still adorable on and it was just over $5.The skirt is high waist-ed and zippered and the colors are vibrant. 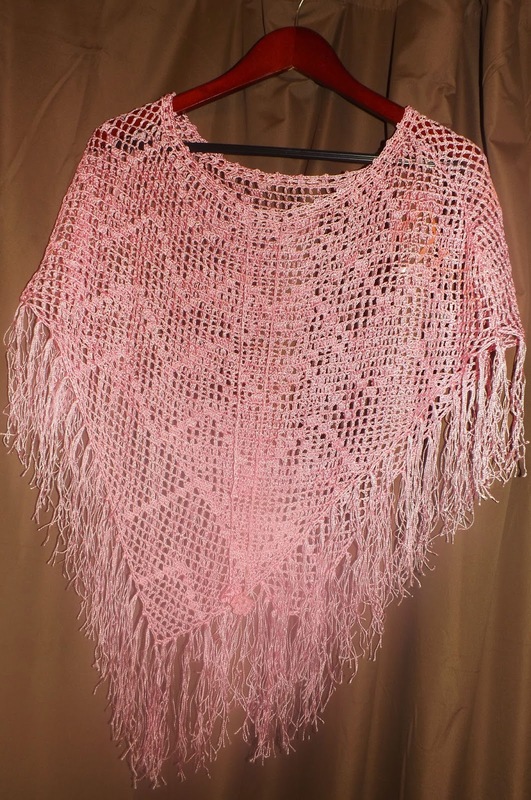 The poncho is my kids' favorite which is too funny since they're all boys! 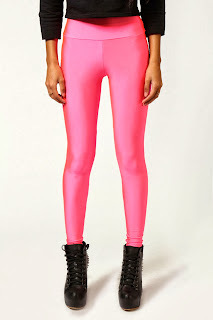 I also got a pair of these disco leggings in navy - I love the neon pink ones but I am afraid to buy them because I may never wear them. The navy ones remind me of those leggings that football players wear. They are super stretchy. I like wearing them around the house but I haven't worn them out yet. Maybe I could get a dark green pair for football season - go Pack go! Have you ever bought from Boohoo?